We provide Automotive, Residential, and Commercial security solutions. We have the latest technologies in originating and duplicating automotive and truck keys, including VATS, PATS, and High Security keys. Our Residential services include repairing locks, replacing locks, installing deadbolts, and all locking devices on windows, crawl spaces, cabinets, garages, and garage remotes. 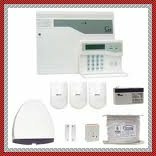 Burglar/Security & Fire Alarm Systems and Cameras. Our Commercial services include exit devices, door closures, master key systems, high security key controls and locks, safes, and electronic access. We also specialize in Commercial door repair and/or replacement. 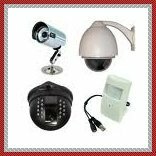 Provide surveillance cameras and alarm systems. How Easy Is It For Thieves To Steal From Your Business Or Residence? How can you tell if your security is at risk? If you can answer "YES" to any one of the below listed items - you could be at risk. Given your keys to Maintenance Crews or other Contractors? 20 Years in Locksmithing Business! We are Certified by the North Carolina Licensing Board : License # 0566. 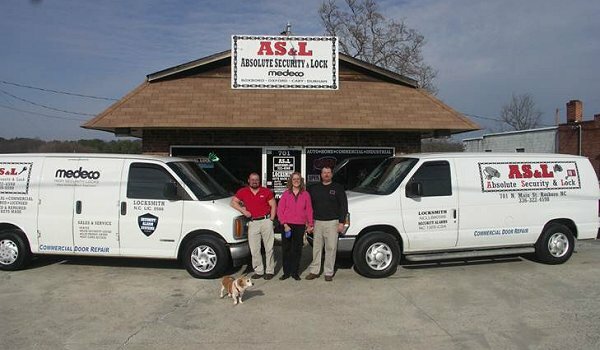 Member of the Associated Locksmiths of America. We're Ready To Roll for You ! You don't need to spin your dial !